Beijing: A Chinese lunar rover has driven on the far side of the moon, the national space agency announced on Friday, hailing the development as a "big step for the Chinese people". The Yutu-2 (Jade Rabbit-2) rover drove onto the moon´s surface from the lander at 10:22pm Thursday (1422 GMT), about 12 hours after the groundbreaking touchdown of the Chang´e-4 probe, the agency said. Chang´e-4 lunar probe mission -- named after the moon goddess in Chinese mythology -- was the second Chinese probe to land on the moon following the Yutu rover mission in 2013. 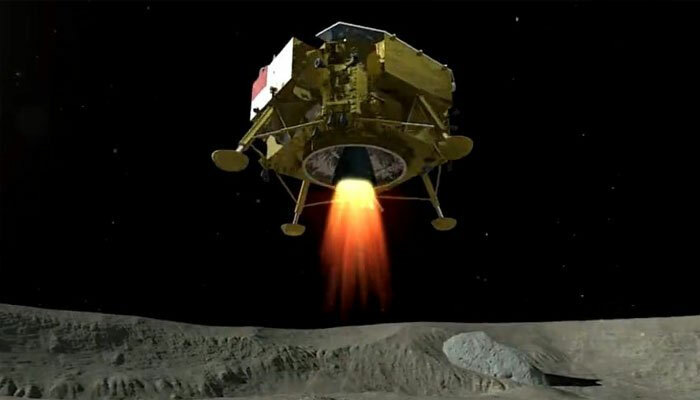 The separation of the rover -- which is named after the moon goddess´ pet white rabbit -- went smoothly, said Wu Weiren, chief designer of the lunar project. The photo of the rover was sent via the Queqiao (Magpie Bridge) satellite, which was blasted into the moon´s orbit in May to relay data and commands between the lander and Earth. Chang´e-4 is carrying six experiments from China and four from abroad, including low-frequency radio astronomical studies -- aiming to take advantage of the lack of interference on the moons´ far side. Beijing is planning to send another lunar lander, Chang´e-5, later this year to collect samples and bring them back to Earth.